Christmas is a great time for plum pudding and tinsel and muted panic about trying to find the right gift for everyone. So the best and most logical option is obviously to just buy everyone you know a book. And what could be better than an Aussie book!? It goes really well with plum pudding. Total guarantee. This is definitely one of my new all time favourite books and it’s about two teens struggling with depression. It involves slam-poetry and a kebab shop and healing and learning to accept you’re not broken, but rather love yourself and let other people help you on your journey. Gideon is an absolute sweetheart and you’ll adore Ava’s determination not to collapse under her grief. This is a brand new book that’s just hit the shelves and it’ll hit all your sci-fi cravings SO well. 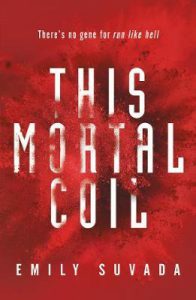 It’s about a dystopian world where a virus is wiping everyone out, and a genius scientist’s daughter is suddenly left alone after her dad is kidnapped by a dark organisation. Catarina has to crack the code to release the antidote to the world, with the help of a super-soldier named Cole and her own intelligence in science and technology. Definitely features lots of guns and running and small explosions. This book is just downright hilarious, so if you’re looking for something that captures Australian wit and humour — like just drop everything and buy this book. Probably buy it for yourself too. It’s just so so funny. It’s about Anton who’s family is a long-line of ghost hunters. 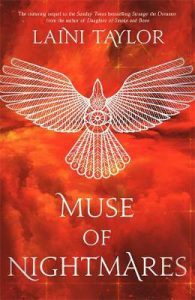 They help them move onto the afterlife as quietly and calmly as possible…until a girl from the “elite” British branch comes over and tries to shake things up with her sword and more violent but effective way of controlling ghosts. Mysteries unravel about the different ghost-hunting groups and there’s an extra spiteful rise in malevolent spirits. Except swords and bucket loads of coffee and quips in the face of death and a lot of ghosts. This is such a sweet and lovely contemporary set in a small outback Australian town where Kirby is set for a boring existence until the most beautiful new girl moves into town. Kirby’s best friend, Clancy, immediately is ALL eyes for this new girl (options are limited okay) and Kirby promises to help play matchmaker…but the problem is she’s falling for Iris too. The book is the actual cutest thing and features quirky writing and goat soap and delicious Indian food and a protagonist who adores books which is, quite frankly, relatable. 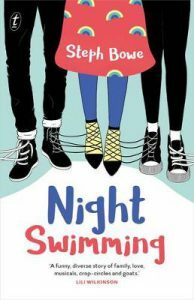 Now this book is set in the USA, but it features 3 Australian teens who travel to a supercon to embrace all their nerdy glory. It swaps points-of-view between Taylor, who is an anxious booknerd with autism, and Charlie, who is a bisexual indie movie star trying to ditch a horrible ex-boyfriend (also, unfortunately, a costar) while she crushes hard on a local youtuber. The book takes place over 3 days and it’s full of action and amazing character devleopment and tons of pop-culture references. It’s super fun and you’ll root for Taylor and Charlie to get their dreams and speak up to their crushes. 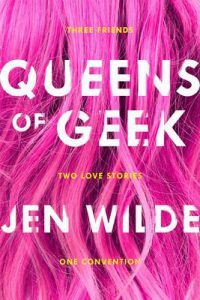 Definite must-read for all nerds and geeks! 2016 has been an excellent year for books! A few weeks ago, I cheered about the best YA fantasy that has graced our shelves, but now it’s time to talk about a very important topic: Aussie YA! Our homegrown authors have been hard at work giving us delicious books to devour at dawn (or at any time, really, they’re not picky) and I today have an exciting list of excellent 2016 Aussie books. You should probably read them all. Just saying. 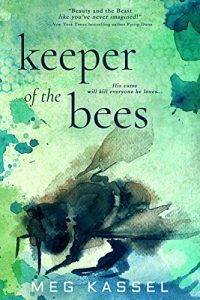 Cath Crowley is an amazingly profilic author and her books never disappoint! 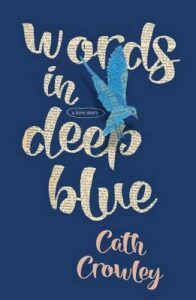 I was so excited for Words In Deep Blue because it’s about (A) bookstores, and (B) people who love books, and (C) people writing love letters to strangers and leaving them folded between pages of books. Isn’t that amazing?! Well guess what: THE BOOK WAS AMAZING TOO. 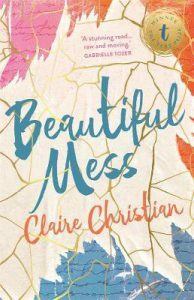 It was exquisitely written with complex and relatable characters, who were a little bit self-depreciating and a little bit tragic and entirely winning. 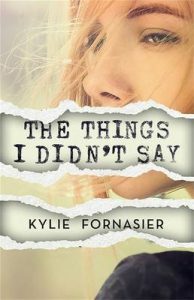 This is about a girl named Piper with selective mutism who’s trying to make a fresh start in a new school. She has severe social anxiety, which results in her not always being able to talk. Although Piper’s plan is just to improve her photography and finish out her last year of highschool…she just happens to meet an amazing boy (who is coincidentally an amazing cook and I don’t know about you, but I fell in love with him right then) who really likes her. But Piper’s worried he won’t stick around if she never talks. It’s such a moving and incredible story about the power of words, with a great representation of anxiety. There is no “romance cures all” themes, which is bliss. And the characters are so entirely adorable I couldn’t help but root for them! This is about Sam who’s just lost his mother to an aneurysm and is forced to live with his relatives…who may or may not kind of subtly hate him. Sam’s life is falling to pieces. He’s so angry at being abandoned and he’s neglected and unloved, and your heart will probably bleed for this poor kid. 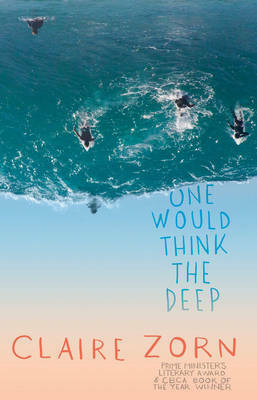 He takes up surfing and tries to make a new life for himself. This is my 3rd read by Claire Zorn and perhaps my favourite?! I can’t get enough of her incredible characters and the way her books always rip at my heartstrings. This is about Che, whose sister is probably a psychopath. 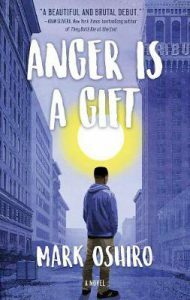 The book is mostly set in the USA, but Che and his family are Australian, and Che is not really happy to have left his life in Oz to come here. He’s a boxer but he suddenly has no friends and he’s the “new” weird kid. 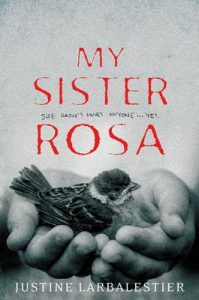 Plus there’s his 10 year old sister, Rosa, to worry about with her vaguely psychopathic tendencies. Che has no idea what she’ll do next. 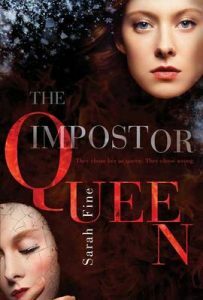 Right now it’s callous pranks and manipulation of everyone around her — but what if it ends up with murder? This story will keep you 100% glued to the page, wondering what is going to happen next. It’s part coming-of-age story of Che and his boxing and first serious romance. And it’s part thriller as you watch a young psychopath at work. It’s entirely one of the best books in the universe! If I could only choose one genre to devour forever, it would definitely be fantasy. I adore the possibilities! And the action, adventure, magic, and probability of talking dragons. 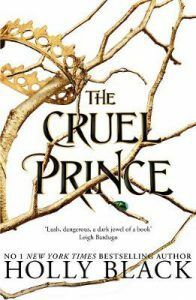 So today I’m going to list my favourite 2016 fantastical Young Adult releases. Since it’s nearly Christmas time, you can gift one or two or all of them to yourself. Isn’t that a great idea? It’s a great idea. There were so many amazing sequels and finales come out this year! It’s so hard to only pick a few, but I’ll be brave and do my best. Here are my top 5 favourites! 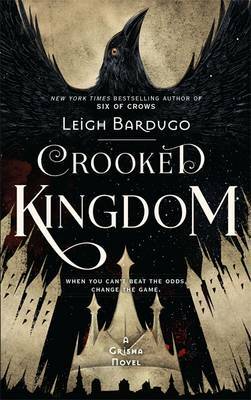 This is the sequel (and finale) to the Six of Crows duology and … can I just say right now that it was pure perfection?! It’s a story about a heist crew out for revenge on a nobleman who cheated them. (Ah, irony.) 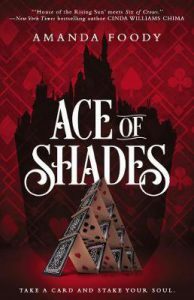 And the complexity of the heists they pull and the mind games they weave are just incredible and will keep you glued to the page. But make sure you put aside a free weekend to begin devouring this because you will not want to put it down. Ever. Another series finale! 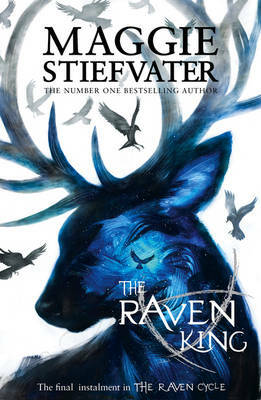 This is the 4th and final book to The Raven Cycle collection and it, arguably, has the most beautiful cover of them all. Also the words inside are good. In fact, they’re amazing. This finale will take you on a whirlwind of emotions and make your heart pound as the time towards Gansey’s foretold death draws ever nearer. The demon awoken in the last book is also wreaking havoc and draining the magic of Henrietta and it looks like everyone is going to die. A delightful nail-biter. Also leave the weekend free for this one too? Basically just cancel life and read. This is like a very dark version of Disney’s Frozen! Meet Elli who is supposed to be the next queen who will wield fierce and amazing powers to protect her people — except her powers haven’t shown up yet. People are getting worried. And violent. It’s filled with snow and magic and betrayal and harsh terrain and is absolutely magical to read. Also it has a gorgeous map. Which is a priority for all fantasy books honestly. 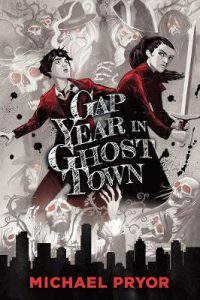 This is set in a dark, Gotham-like city where monsters roam the streets and the humans rage a constant turf war with them. People look to mafia lords for safety. 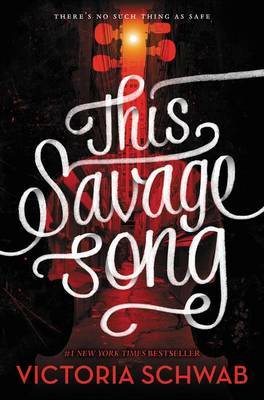 And caught up in the middle is the vicious and slightly stabby daughter of a Mafia lord, Kate, and a violin-playing-kind-monster boy, August. They get throw together and end up running for their lives. It’s possible, perhaps, that not all monsters are as bad as they seem. 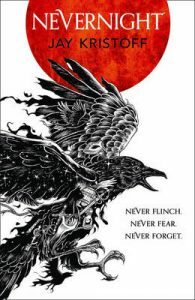 And lastly we have a book by Aussie author, Jay Kristoff, who has written an amazingly complex and darkly vicious fantasy starring Mia, a prospective assassin. It’s full of tests and trials and torture and bleeding and you probably won’t be able to look away from the page because you’ll be so worried about who will live and die. The world building is intensely detailed. And it features a talking cat made of shadows. What more convincing do you need? What another outstanding year of great books. My book of the year was a real stand-out but there was a very close second. Sorting out the rest was nearly impossible. My biggest discovery was David Mitchell. I devoured all his books and loved them all and could have include all them in my top 10 but instead I just chose The Bone Clocks which just missed my Top 5. So here it is my top 5 reads of 2014 (plus 5 more). Honourable mentions go to The Bone Clocks by David Mitchell (all his books a truly amazing and this really just missed my Top 5), We Are All Completely Beside Ourselves by Karen Joy Fowler (reminded me so much of one of all-time favourite novels Middlesex by Jeffrey Eugenides), The Magician’s Land by Lev Grossman (seriously this trilogy is Harry Potter for grown ups), Fives and Twenty-Fives by Michael Pitre (if it wasn’t for Redeployment this would have been Top 5 easily) and Fallout by Sadie Jones (a return to form for one of my favourite writers).